The Horu Trophy, which takes place in Zermatt each winter, is one of Switzerland's most important curling competitions. The game curling involves players sliding heavy granite stones across an ice rink, aiming for a target of four concentric circles; teams of four take turns to deliver their stones, with 'sweepers' brushing the ice to create a layer of moisture under the stone in order to affect its speed and direction of travel. 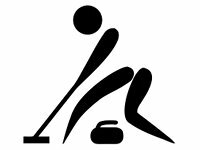 Curling is a very tactical game, often called Chess on Ice. In 2013, the event saw 76 teams compete on 19 different open-air rinks over 4 days. After 5 rounds of throwing stones, frantic brushing and the urgent shouting of instructions, the trophy was won by Select Crystal Zurich. In 2014, the trophy was lifted by Team Adrian Rieder, in 2015 Glarus Open Air lifted the cup, and the 2016 and 2017 tournaments were won by Visp Leiggener and Disentis. The 26th Horu Trophy, organised by Curling Club Zermatt, was held betwen 18 and 21 January 2018. The Swatch Skiers Cup is an annual competition held between two teams of eight freestyle skiers and boarders from Europe and the United States. Held in Zermatt and Valle Nevado, Chile, the teams battle it out for a silver metal ski boot trophy and considerable bragging rights. 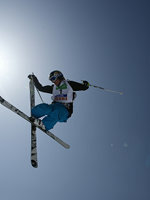 There are two aspects to the competition: big mountain skiing and backcountry slopestyle. Big mountain skiing involves a one-time shot for each rider at a steep off-piste mountain run which includes a number of cliff jumps. Backcountry slopestyle involves the riders taking on a series of sculpted jumps and spinning, somersaulting and twisting in the air. The 2013 competition was won by the European team, led by captain Kaj Zackrisson. The US skipper, Cody Townsend, got his revenge in 2014, when the Americas won 9-7. In 2016, the event took a break from Zermatt. And organisers later confirmed that it would not be held at all in 2017. Let's hope it returns in 2018. The Zermatt Unplugged Music Festival takes place over five days each April (2018: 10-14 April). The Festival features over 30 artists on five stages. The Marquee Stage (aka Main Stage) sees the headline acts. Built on the tennis courts in central Zermatt, it has a diameter of 48 metres and a crowd capacity of 2000. 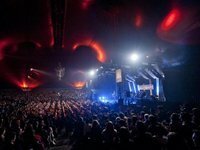 Other acts play at the Vernissage (club stage) and at 'singer songwriter' and 'new talent' stages located in the town and in a few of the mountain restaurants and hotels. The Mont Cervin Hotel also hosts jam sessions in its lounge bar. 2017's line up included Michael Bolton, Nelly Furtado, Paolo Nutuni and Jehro. Previous years' festivals have hosted the likes of Skunk Anansie, Katie Melua, Jamie Cullum, Mick Hucknall, Anastasia, James Blunt, Simple Minds, David Gray, Seal, Alanis Morissette, Lionel Richie and Chris de Burgh. The 2018 line up has yet to be announced. £$€¥ A number of events are free. Where tickets are required, they range from CHF75 to CHF175. The Patrouille des Glaciers (or PDG) is a team mountaineering race held every two years, going from Zermatt to Verbier via Arolla. The race was inaugurated during the Second World War, as a way of improving morale and standards of alpinism amongst troops. The full route is 53 kilometres long and involves 4000 metres of ascent (equivalent to a 114 kilometre race on the flat). 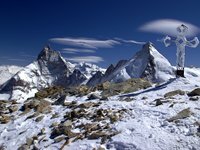 The highest point is 3650 metres, at Tete Blanche (reached 16 kilometres from Zermatt). The course record is 5 hours 52 minutes, set by the 2010 Swiss team of Florent Troillet, Martin Anthamatten and Yannick Ecoeur. Most teams complete the course inside 8 hours. 2012 saw 1480 teams took place, some completing a shorter route from Arolla to Verbier (26 kilometres, 1800 metres of ascent, equivalent to 53 kilometres on the flat). The 2014 edition took place between 29 April and 3 May, and attracted over 5400 competitors. The latest edition of PDG took place between 19 and 23 April 2016. In 2018 the event will take place between 18 and 21 April. Starting at St Niklaus (1116 metres) and ending at Riffelberg (2582 metres), the Zermatt Marathon is now in its 16th year. The normal course covers just over 42 kilometres, and an ascent of 1900 metres, with the ‘ultra’ distance covering 46 kilometres, 2400 metres of ascent and finishing at the world-famous Gornergrat (3089 metres). The 2014 winner, Michieka Paul Maticha, completed the marathon in 2 hours 55 minutes 4 second. 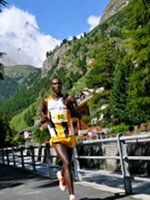 The next Zermatt marathon will be held on 7 July 2018. It will feature a half-marathon course, between Zermatt and Riffelberg, for the third time. 2013 saw the first running of the Matterhorn Ultraks Trail. This event offers three races: the 16 kilometre event (ascending 1100 metres to Sunnegga and Riffelalp from Zermatt before descending back to the town); the 30 kilometre event (which also takes in Schwarzsee, involving 2000 metres of ascent), and the full marathon (which in addition passes Trift, and involves 3600 metres of ascent). In 2018, Ultraks will be held on 24/25 August 2018. £$€¥ The Zermatt Marathon costs between CHF85 and CHF150, depending on event. The Ultraks Trail costs betwen CHF75 and CHF160. 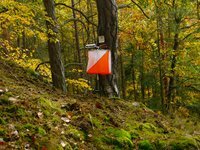 Swiss Orienteering Week (SOW) is an international orienteering event held in July each year. SOW sees six days of competition, with a rest day half way through. Sprint races in Zermatt town centre held on the first two days, and long distance races held in the Staffelalp, Trockener Steg, Gornergrat and Sunnegga areas thereafter. Races are held in all recognised categories, with many elite runners taking part in the event. In 2014, SOW took place between 19-26 July and featured 4616 runners from 37 countries. This made it the largest event to date. The event took a break in 2015, and returned in July 2016. 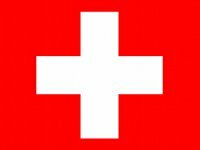 Check the Swiss Orienteering Week website for information relating to the next SOW. The Matterhorn Eagle Cup is a nine-hole golf competition played in the mountain terrain between Rotenboden station (2815 metres) and Riffelberg station (2582 metres). Developed by Simon Biner and Harry Lauber, and now entering its 24th year, the Matterhorn Eagle Cup attracts around 150 golfers. 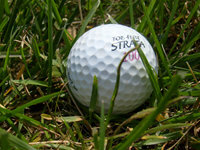 The usual rules of golf have been modified somewhat: the hole has a diameter of 75 centimetres; there is no ‘out of bounds’; the ball can be placed after every shot (but no closer to the hole); and players are only allowed to use three clubs (a 3 wood, 7 iron and pitching wedge are recommended). The day after the tournament sees another event, Pimp up your score, held at the Matterhorn Golf Club in Randa; this is a double fourball best ball competition, with a double shotgun start (morning and afternoon). The last Eagle Cup was held on 30 July 2016. It doesn't look like it was held in 2017. Check out its website for 2018 information. Swiss National Day, held on 1 August each year, celebrates the signing of the Swiss Federal Charter on the Rutli Meadow above Lake Lucerne in 1291. That Charter contained the terms of a pact between three cantons, marking the beginning of the Swiss Confederacy (of which there are now 26 Cantons). Swiss National Day, a public holiday since 1994, is marked by celebrations throughout the country. They include the playing of traditional music (in Zermatt, alpine horns and pipers and drummers dressed in traditional military uniforms), the baking of Augustweggen bread, the giving of speeches by local dignitaries, barbeques, an evening bonfire and fireworks display, the lighting of candles and the drinking of Valasian wines. Check the tourist office's website for details of special events. The Swiss Food Festival, held in mid-August, celebrates its eighth year in 2016. It is a collection of food-related events. About 20 small wooden stalls sprout up on the main street selling traditional Swiss beer and wines, sausages and other savoury snacks, olives, cheeses, waffles and other delicacies. There is a hog roast on the Saturday evening, with dishes prepared by the chefs from each of Zermatt's Gault&Millau-rated establishments. 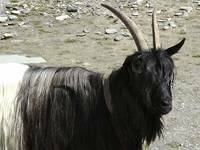 Indeed, many of Zermatt's Gault&Millau establishments put on special menus for the event. The event coincides with the Zermatt Folklore Festival, with around 1300 musicians performing around the town centre (in particular on Saturday evening on a specially erected stage on Kirchplatz). In 2017, the Swiss Food Festival was held between 11-13 August. Dates for 2018 are to be announced. The Zermatt Festival, now in its 14th year, is a two-week classical music festival that takes place at the end of August and beginning of September each year. Events take place throughout Zermatt, in particular at the Grand Hotel Zermatterhoff, St Mauritius-Pfarrkirche, the Englische Kirche, the Riffelalp Kapelle and the Mont Cervin Hotel. 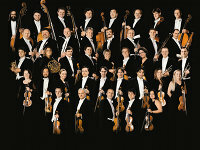 In past years, performances have included Beethoven and Schumann numbers performed by the Orchestra Della Svizzera Italiana, artists such as pianist Fabrizio Chioveta playing Haydn, Brahms and Schubert, and the Scharoun Ensemble Berlin and Zermatt Festival Orchestra playing Mozart, Haydn and Bartholdy. Another key facet of the Festival is the Zermatt Festival Academy, to which 34 promising young music students from 12 countries are invited to attend, rehearse and perform classical works. Dates for this year's Zermatt Festival are 7-16 September 2018. £$€¥ Some events are free, such as open rehearsals and pre-concert talks. Ticketed events cost between CHF30 and CHF90. The Zermatt Shepherd Festival is a two-day beauty contest for black-nosed sheep held in Schweigmatten, above Zermatt, each September. Around 120 four-legged entrants are paraded before the judging panel and are marked against criteria such as grace of movement and wool quality. Other attractions include the award for Shepherd of the Year and a children’s mascot called Wolli. The competition is accompanied by traditional folk music (including a yodel group and three-piece Landler bank) and evening meals (with raclette and lamb for all). The walk to Scheigmatten talks about 45 minutes from Zermatt. Alternatively, it is reached by ten-minute walk from the Furi Matterhorn Express cablecar station.